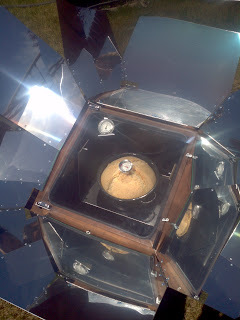 How is baking bread in the Sun Oven different from baking bread inside? Bread rises more than normal when baked in the sun oven. To prevent overflow be sure to fill pans only ½ full. 2 loaf pans fit easily in the Sun Oven. I love to make bread in my round sun oven cooking pot. 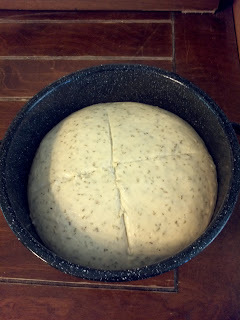 If you are making bread in the round sun oven pot you can put two loafs worth of dough in the pot to make one large loaf. Because bread rises more then normal in the sun oven, during the second rise (when the bread has been shaped and is in the pan) a minimal rise is sufficient. I usually let my bread rise about 10 minutes in the pan before putting it in the Sun Oven. 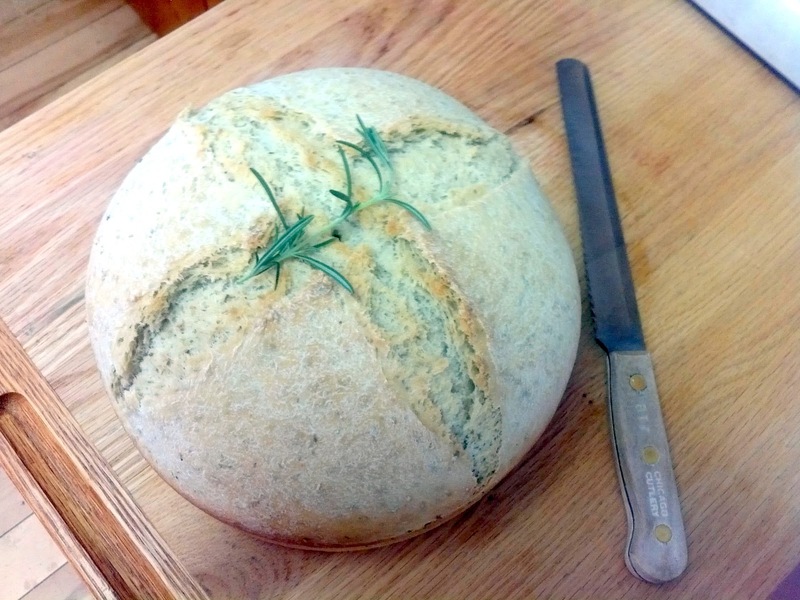 It can be difficult to tell if bread is done when cooked in the sun oven. The easiest way to tell is to use an instant read thermometer and measure the temperature of the middle of the loaf. White Bread should reach an internal temperature of at least 190 degrees. Whole grain breads should reach at least 210 degrees. One of the things I LOVE about baking bread in the Sun Oven is that as long as it is a sunny day I can bake bread in the summer and not heat up the house. My favorite bread recipe to bake in the sun oven is Rosemary Olive Oil Bread scroll to the bottom of the recipes to see the sun oven directions.